Bolivian Foreign Minister David Choquehuanca defended in an interview with Sputnik Radio the country’s right to develop nuclear energy, highlighting its cooperation with Russia on the issue. MOSCOW (Sputnik) — Choquehuanca is currently on an international tour, and held a meeting with his Russian counterpart Sergei Lavrov in Moscow on April 12. "We also have the right for our children to become nuclear physicists, why not? And this is what we are doing with Russia," Choquehuanca said. 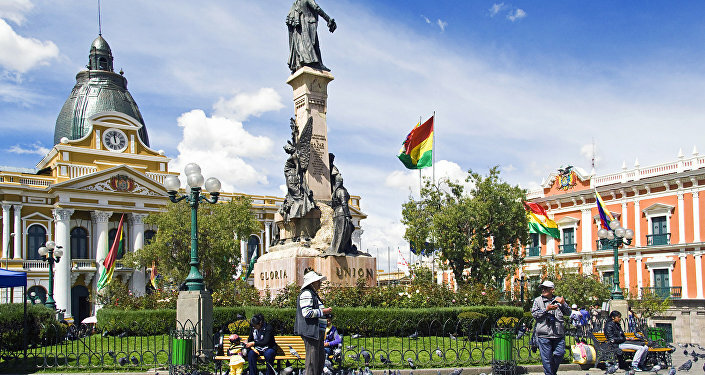 According to the official, Bolivian-Russian relations were becoming "better and better." © Flickr / Dimitry B. "There is [Russian] presence in the hydrocarbon sector, there are people carrying out exploration, as well as the construction of the research center of nuclear energy," the minister added. In May 2014, Bolivian President Evo Morales revealed that his country was working on the development of its nuclear energy industry with support from Argentina. In October 2015, he announced that Bolivia would construct a $300-million nuclear research center using Russian and Argentine technology in the next four years.